Rugged is putting it mildly when it comes to 80 percent of Norway. Historically, it was a challenge to live here. That's why Vikings ventured south and so many emigrants left for America. But I find excuses to return to Norway almost annually. Three of my grandparents grew up there. I recently told my TV producer, "Everyone in Norway looks like my brother." Having traveled with me for 12 years, he was shocked: "I didn't know you had a brother!" I don't. But if I did, he'd look like the guys in Norway. But it's more than how they look. It's how they are. A fun part of travel is to feel a kinship with people from the land of your ancestors. In this intensely scenic corner of Europe, the challenges presented by nature have met the tough and creative spirit of the Norwegian people. The result: a fascinating land well worth exploring. 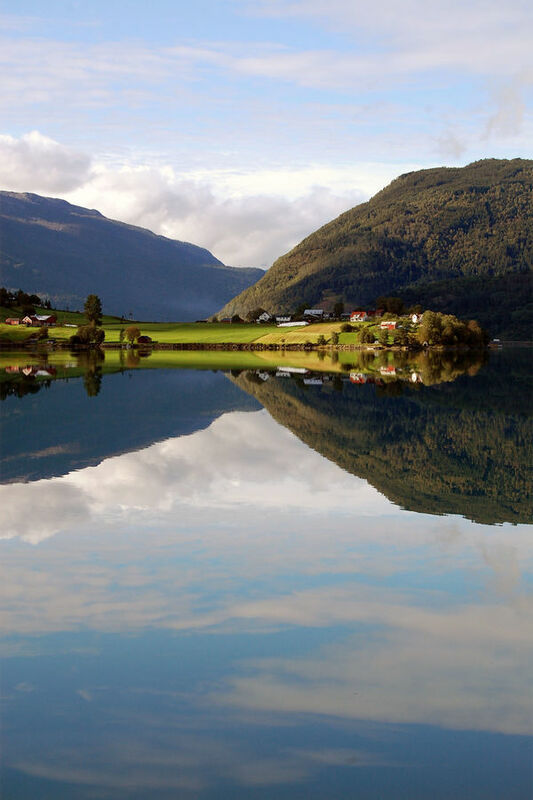 I head for western Norway to experience the best of natural beauty. Northern Europe's highest mountains are here — called Jotunheimen, or Giant's Country. The high Jotunheim plateau feels like the top of the world. You can imagine the Norse spirits of Thor and Odin inhabiting these misty peaks. The country's famously steep mountains and deep fjords were shaped by the glaciers that covered most of the Continent 10,000 years ago. The distance from seabed to mountaintop around here is as much as 9,000 feet — nearly two vertical miles. At the glacier called Nigardsbreen, the scale is enormous. Cruising on a boat across a pristine lake to the glacier, I felt dwarfed by blue cliffs of ancient ice. Adventurous travelers can lash on crampons and follow a park ranger on a trek over the ice and snow. While there are more demanding Nigardsbreen routes, I like to join a family hike — just an hour, but enough to bring me face to face with the glacier's majesty. To get deep into the heart of the fjords, sightseers ride traditional ferries or excursion boats. The stunning scenery keeps everyone on deck, cameras clicking. For an exhilarating alternative, sign up for a speedier tour in a small, open Zodiac-type boat. As the boat rockets across the water, you'll be thankful for the all-weather suit that comes with the ride. From the heart of fjord country, a handy express boat quickly gets travelers to Bergen, the biggest city in the west of Norway. Just one sheltering island away from the open sea, Bergen has long been a safe port of call. It's popular with cruise ships and a refuge when heavy winds drive in the boats that serve North Sea oil rigs. Much of Norway's affluence is fueled by the oil it drills just offshore. The urban heart of colorful Bergen has a thriving personality all its own. After a week in this expensive country, I'm comfortable with the notion that, here, beer is wine ($8 a glass). Hotels are pricey, too. It pays to check the bigger hotels' websites for special deals. Especially during the summer lull in business travel, a room in a fancy hotel can cost little more than one in a simple pension. Seven hundred years ago, local kings established Bergen as Norway's first capital. While breathtaking vistas are everywhere you look, the city's history is harder to see. For most of its past, Norway was extremely humble. As the wealthier parts of Europe were building grand churches and castles of stone, Norway built with wood, and little survives from centuries past. Bergen has burned down and been rebuilt several times. In the touristy wharf area, creaky wooden warehouses lean haphazardly across cobbled alleys. This was the historic trading center. A medieval boomtown, Bergen was a member of the mighty Hanseatic League, an alliance of seafaring merchants. The Hanseatic Museum, on the edge of the wharf, helps bring to life the salty economy that made Bergen prosper. It was all about the fish. Norwegian fishermen knew how to catch cod and Germanic traders knew how to sell it. Customers ate it up — then as well as today. The bustling fish market at the harbor has a seafood circus of eateries. Pale locals bolt outside when the sun peeks through in Norway's rainiest city. Pick one of the 60 days when the sun shines to ride Bergen's popular funicular. It rises 1,000 feet above the city to dazzling views that lead all the way to the Atlantic. In the last century, Bergen was a launching point for countless adventurers headed to the New World. 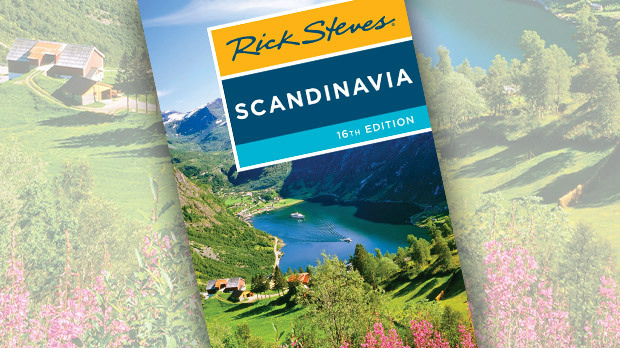 Today their descendents, returning to their Viking roots, discover a prosperous, contented, and beautiful country.